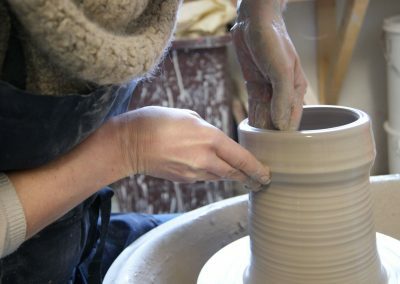 I see clay as a fantastic medium to express yourself and its just great fun! 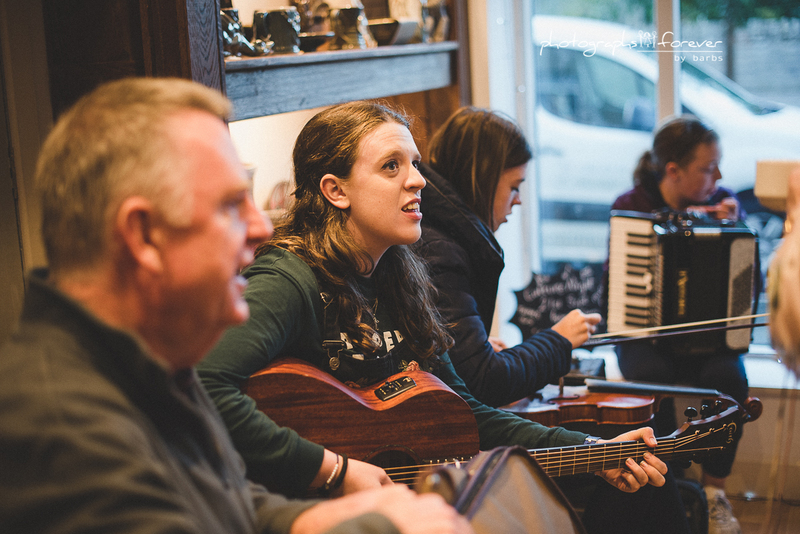 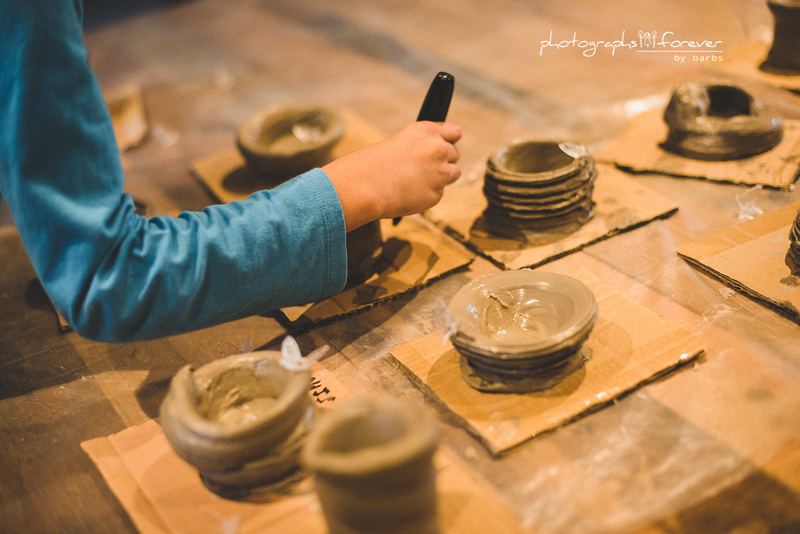 It is so rewarding to be able to share my passion for clay with others! 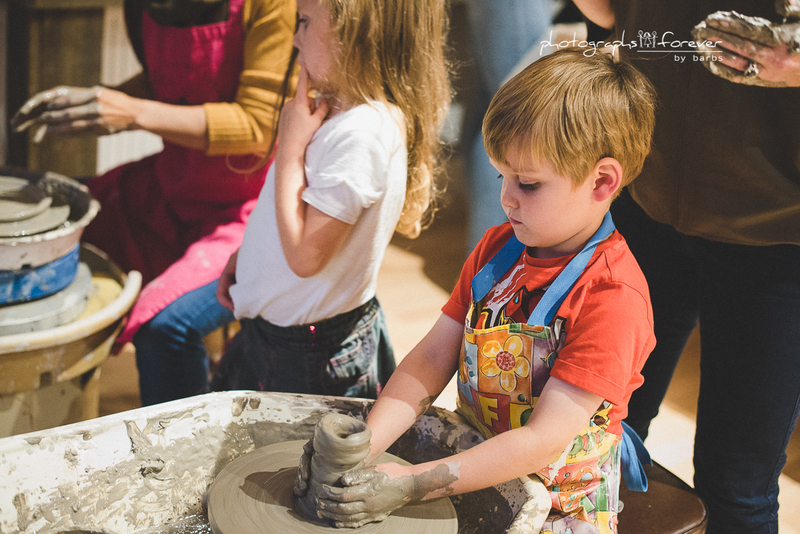 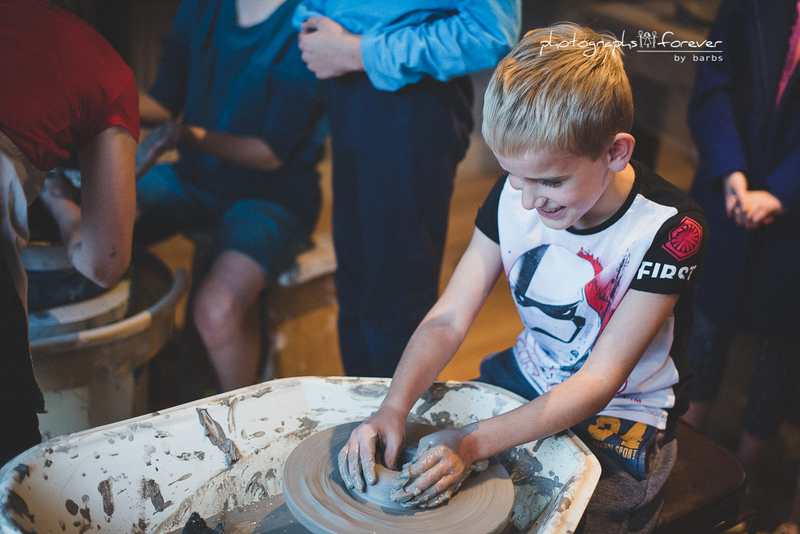 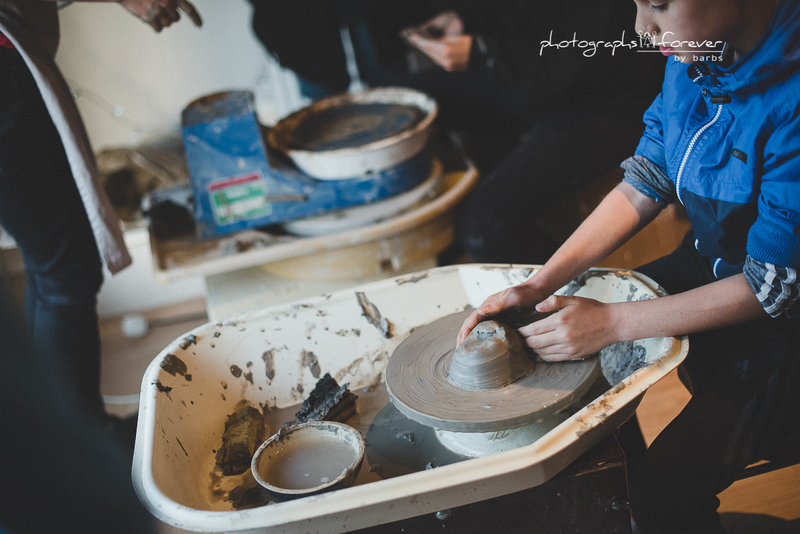 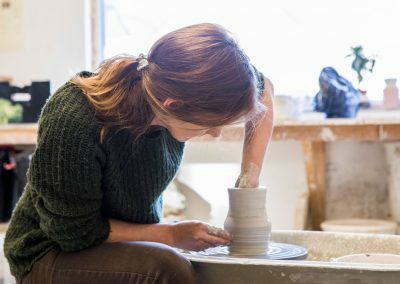 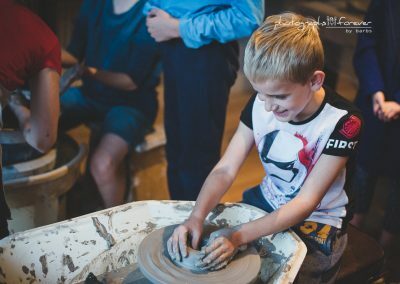 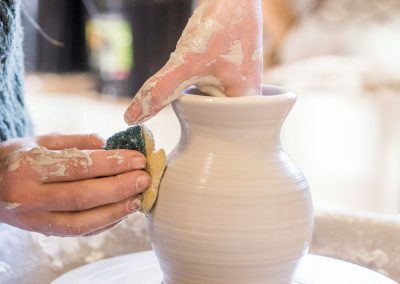 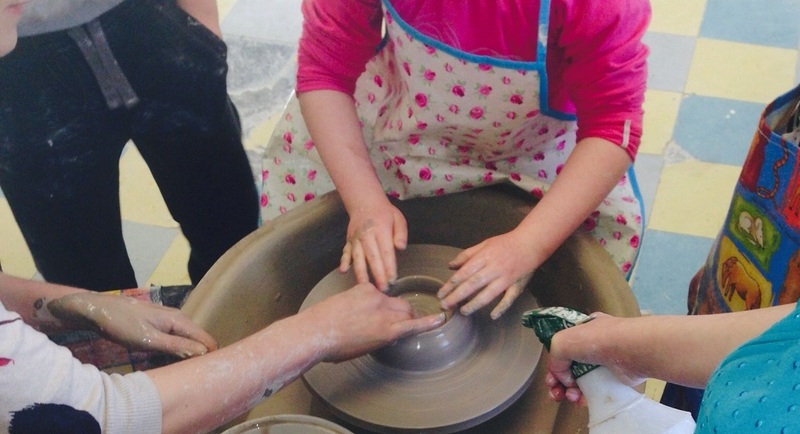 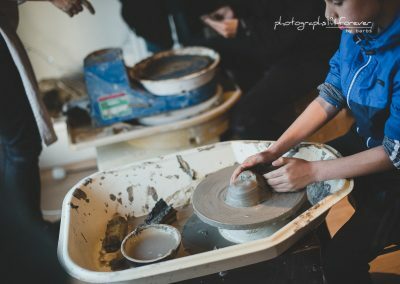 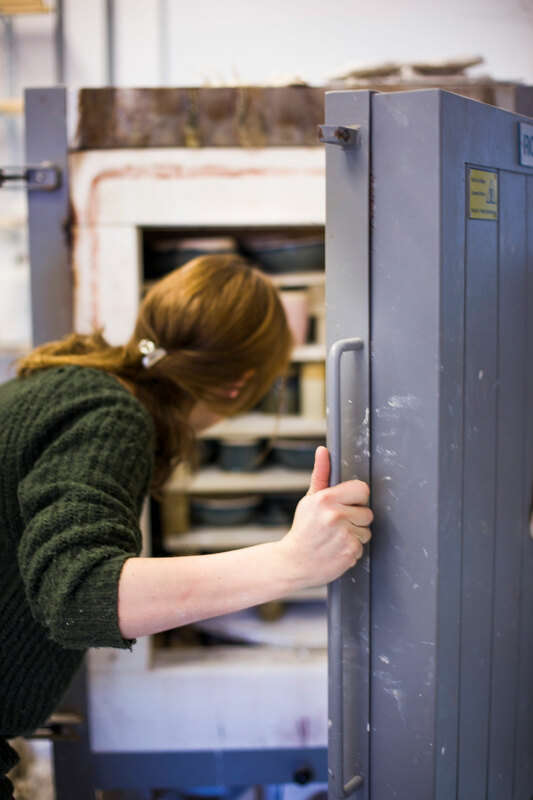 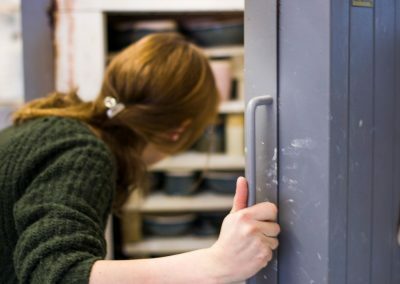 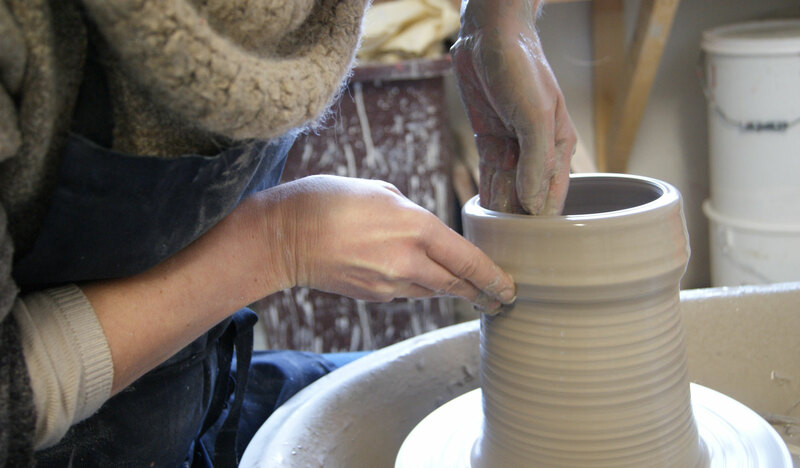 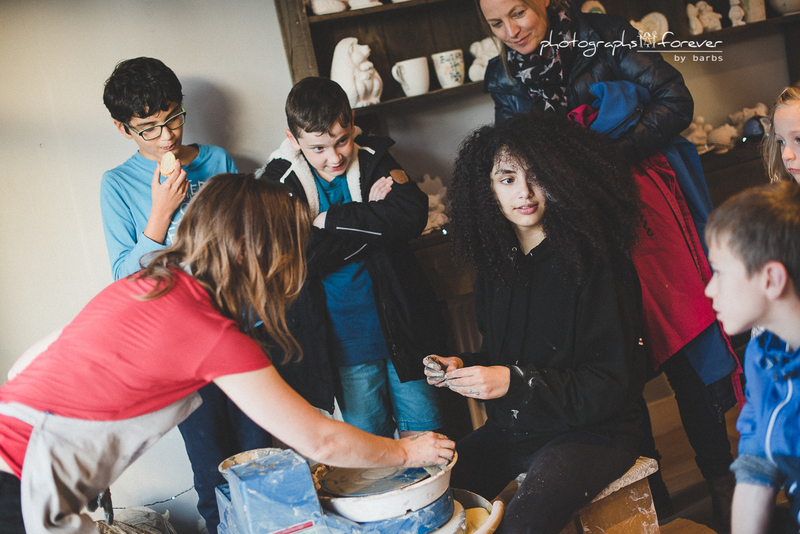 When you visit our pottery studio you get to become a potter and learn something brand new. 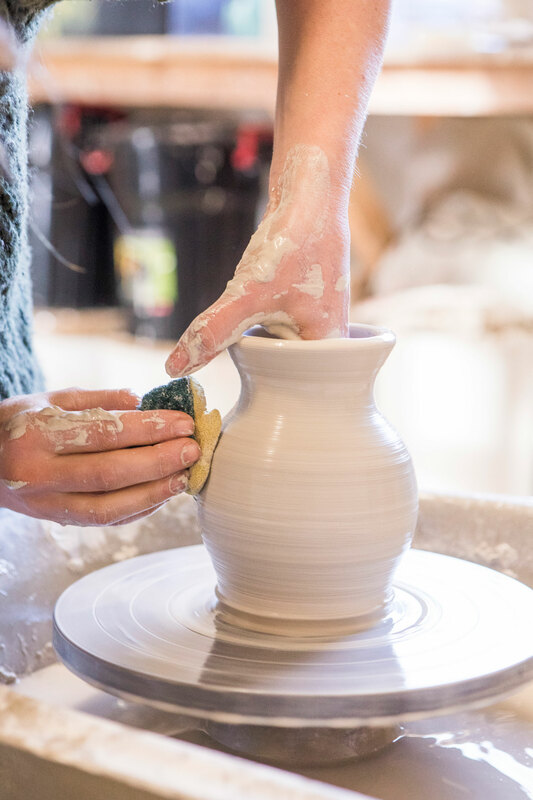 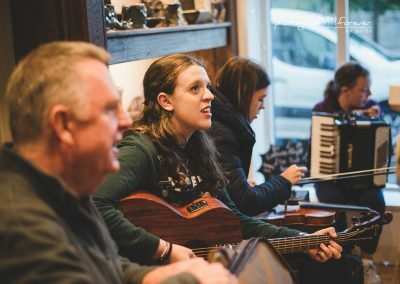 It’s a great way to spend a day with family and friends. 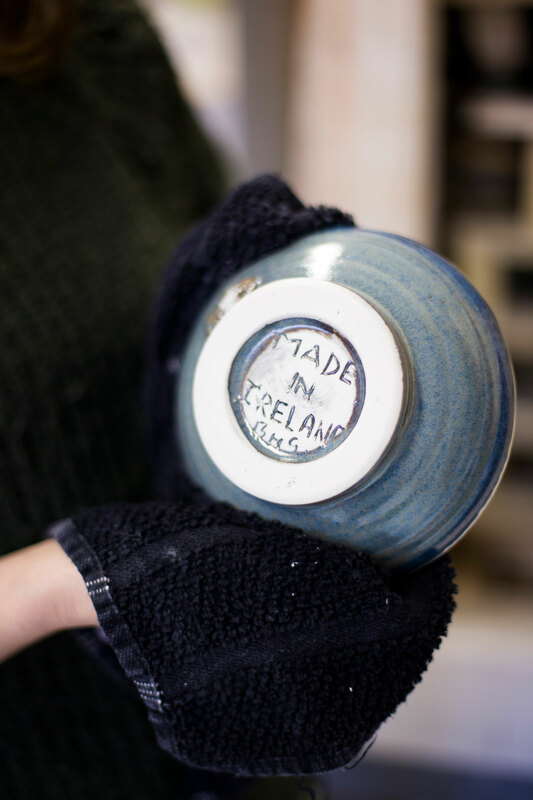 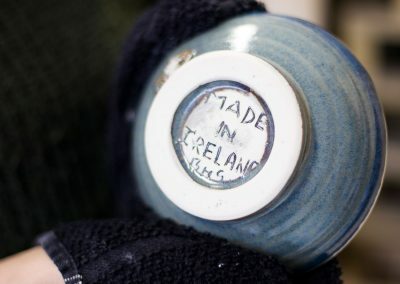 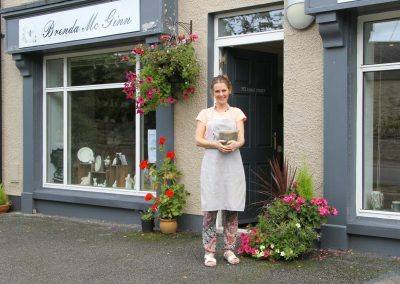 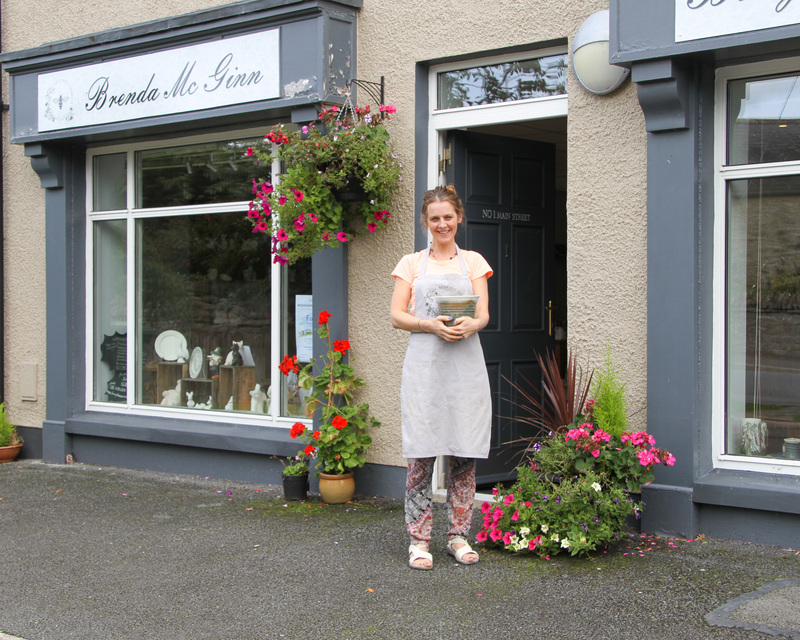 We make all the pottery ourselves including the pottery you are painting which makes it a truly Irish product. 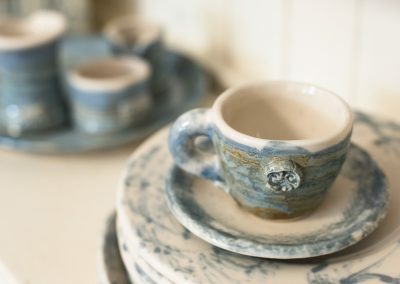 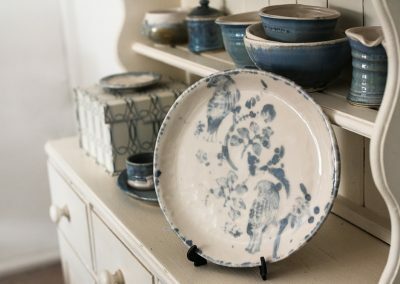 We have 2 ranges of pottery -“Bragan Blue ” (named after our local Bragan bog) and our new “Vintage Blue”. 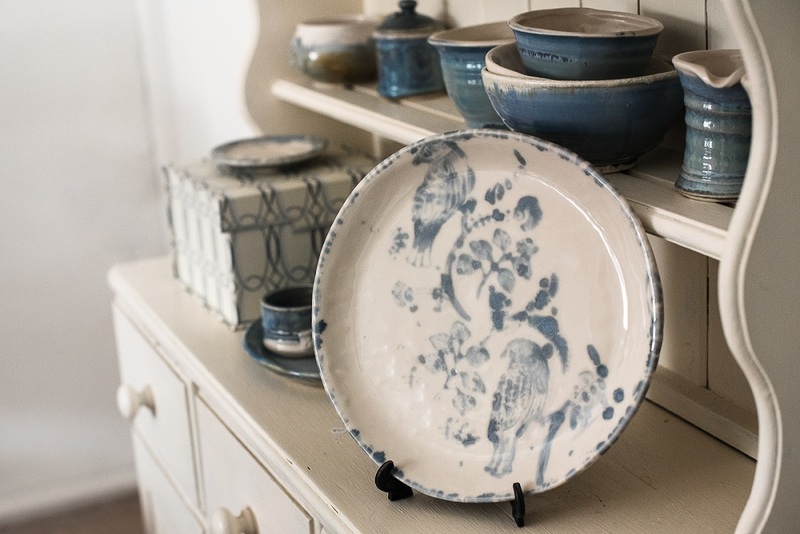 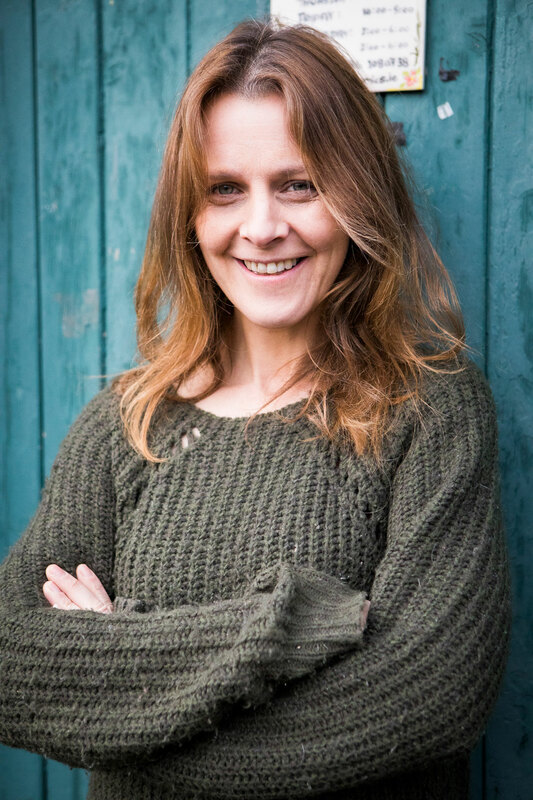 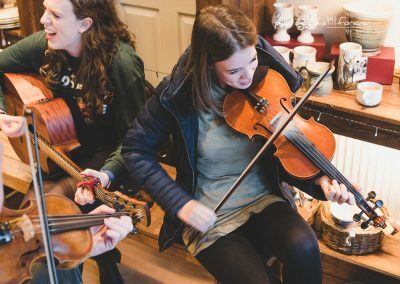 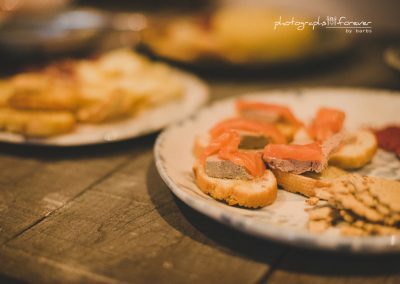 I have designed my products around tableware and have worked alongside local restaurants and hotels, including Castle Leslie Estate and The Courthouse, Carrickmacross, to create bespoke new products. 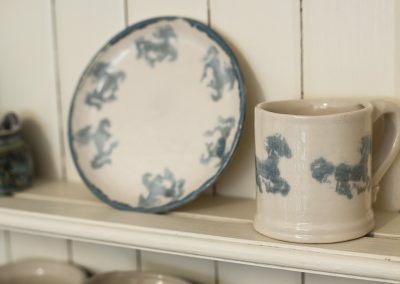 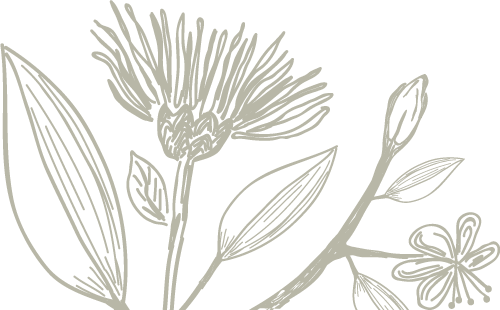 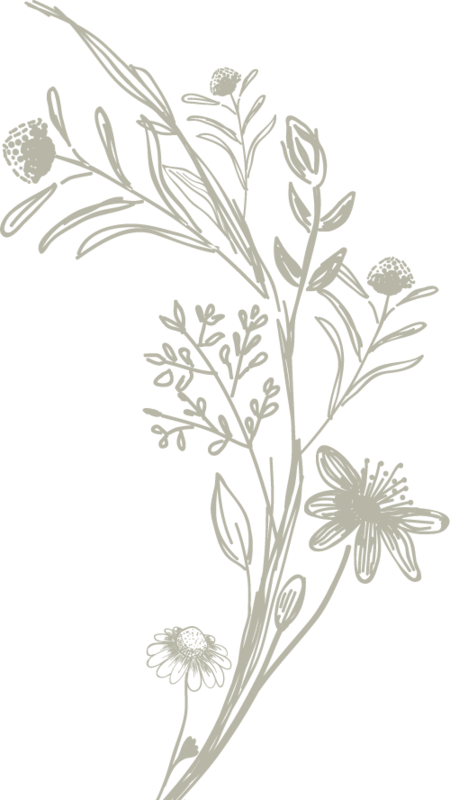 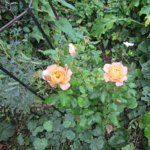 I am influenced by nature’s colours and textures and like to depict this in my designs. 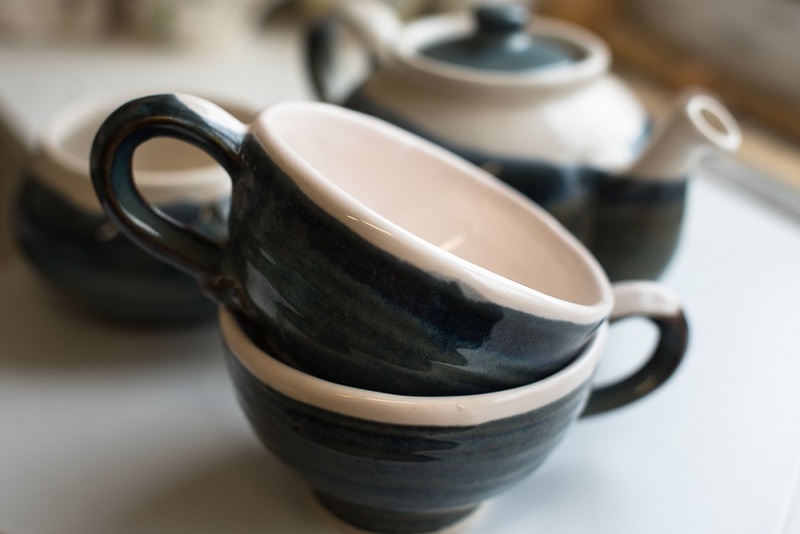 As all pieces are individually made from high fired stoneware clay they are durable and perfect to use in the dishwasher, oven, and microwave. I also provide onsite pottery sessions for groups. 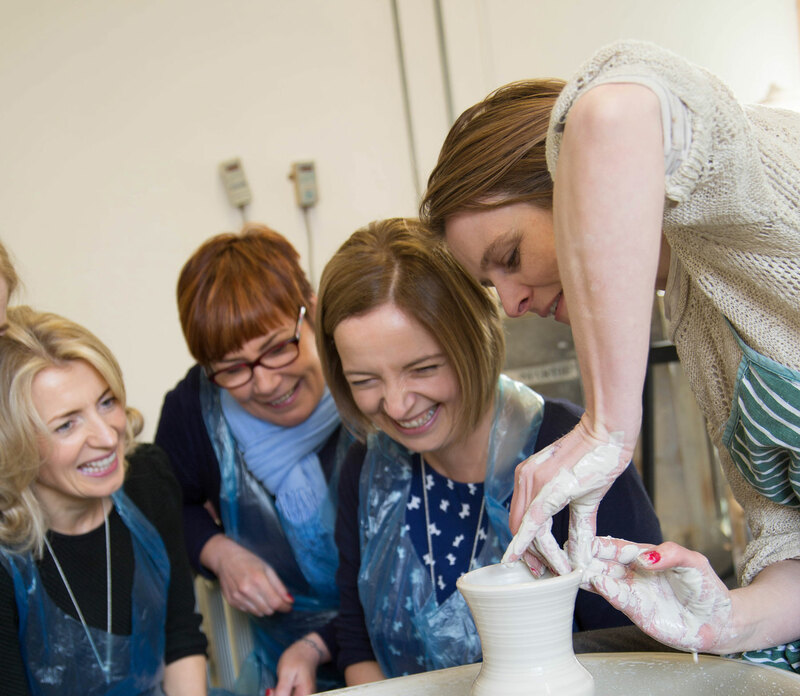 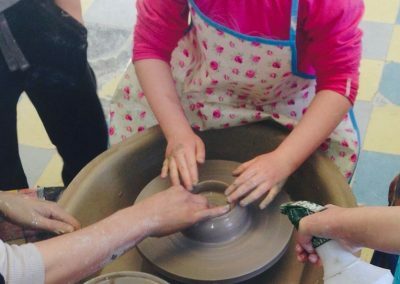 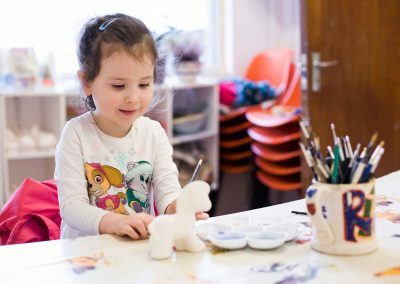 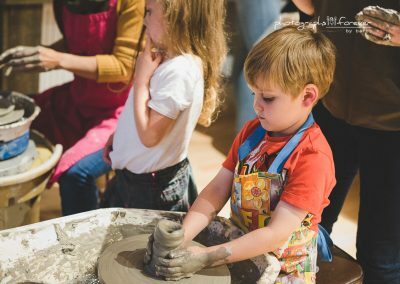 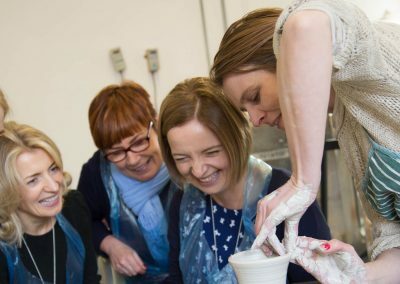 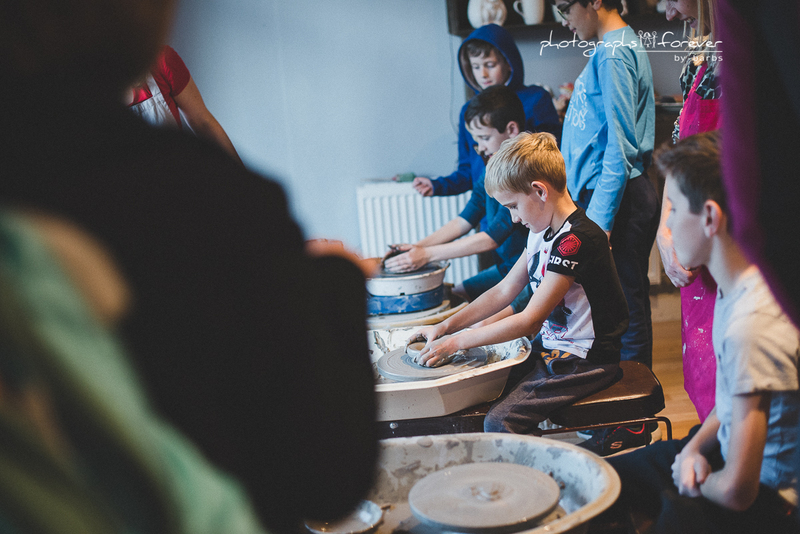 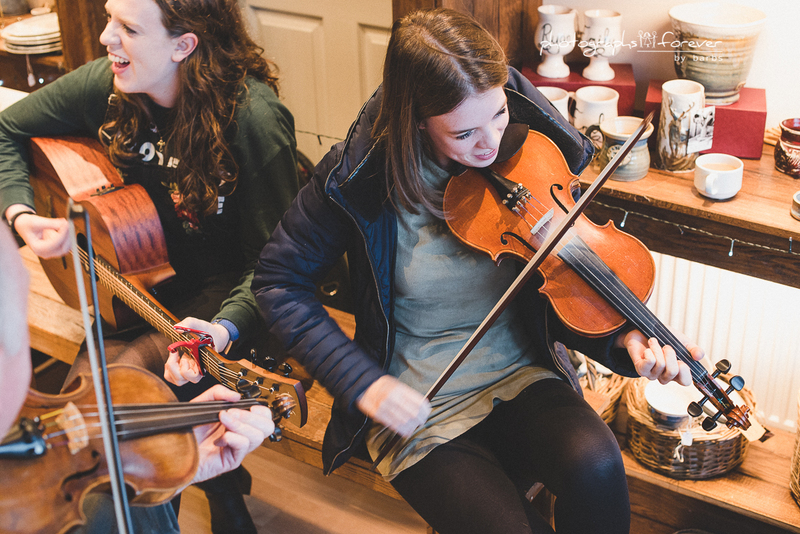 Formal education includes a BA Hons Degree in Ceramics from The University Of Ulster, Belfast and I have extensive experience working with groups, individuals and in education.